Finally , our long waited SST workshop has been successfully held ! Specially thanks to Mysoft Company @ Mr law and eZee team who shared about how SST rules and regulations works in hotel industry .Thank you for those attendees taking your time to participate in our SST seminar. The new tax which is going to be introduced is known as the Sales and Services Tax (SST), and the SST is set to replace the Goods and Services Tax(GST) in Malaysia. The move of scrapping the 6% GST has paved the way for the re-introduction of SST, which will come into effect on 1 September 2018. Before the 6% GST (that was implemented in 2015), Malaysia levied a Sales Tax and a Service Tax. Governed by the Sales Tax Act 2018 and the Service Tax Act 2018, the Sales Tax was a federal consumption tax imposed on a wide variety of goods while the Service Tax was levied on customers who consumed certain taxable services. Specially designated areas that include Langkawi Island, Tioman Island and Labuan Island are exempted from the Service Tax. This page will help you to understand what SST is and how it will affect us. eZee Malaysia in a special promotional partnership with PayPal is now offering PayPal business account for hotels in the region. Hoteliers in the following countries can take advantage of this special offer. eZee Technosys Malaysia joined the TAR UC FOCS Symposium held on 30 Oct 2018 which organized by Tunku Abdul Rahman University , the faculty of computing and information technology. eZee Technosys, a hospitality solutions provider based in India, announced its strategic partnership with Wise Technology Corp, Taiwan. Through this alliance, Wise will be the official exclusive partner in Taiwan to offer eZee’s Channel Manager eZee Centrix. 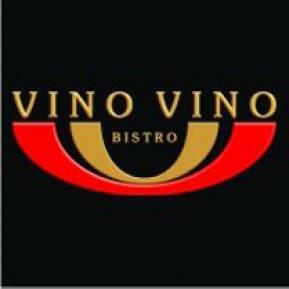 Vino Vino Bistro is one of the high-end restaurant chains in Malaysia, famous for its wide collection of wine, coffee, and grill. Vino Vino offers a unique experience for wine and coffee lovers alike and eZee BurrP! was able to adapt to the distinctive menu which was a combination of food, wine and coffee with ease. eZee BurrP! provided the key module, eZee SMS used by the management of Vino Vino Bistro to receive all the sales data on their mobile. The headquarters in Kota Kinabalu, receives all the data from all the Branches across Malaysia using eZee Sync Module. Syam Bungaraya Restaurant adapts eZee BurrP! thus becoming the first client in the State of Kelantan in Malaysia to use a eZee product. eZee Support Centre in Kuala Lumpur was responsible for full training and implementation of the software for the property. eZee Signs partnership agreement with leading IT solutions provider in Singapore, Continental Services Pte Ltd. Continental Services will add eZee brand as their exclusive software offering. eZee Products now compatible with four major local accounting software in Malaysia. eZee believes that strong relations with the local software community and third party support is essential for success. eZee Malaysia has always worked hard towards building new relationships in the local community and work towards expanding third party support portfolio for its products in the region. 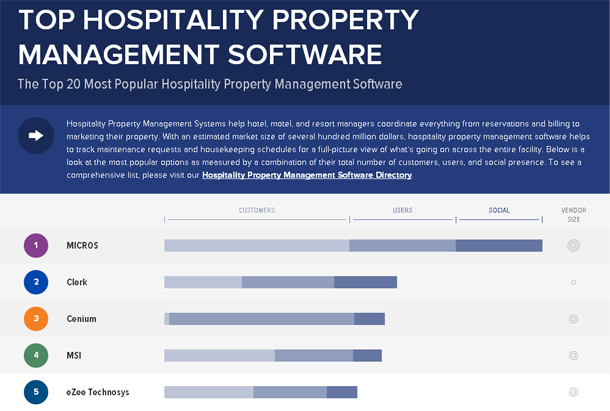 eZee Technosys makes its foray into Capeterra's Top 20 most popular Hospitality Property Management Software List. Coming at number 5 spot, eZee Technosys is the only Indian company to make it on to the list.